My 70 Mach SCJ Super Cobra Jet double R code has SUPER stamped on its original block, in front of oil filter. Was this done only in California? 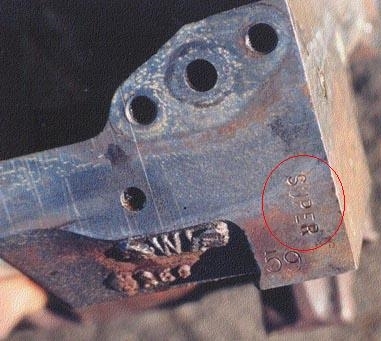 This was stamped on any 428 Cobra Jet block that was used as a Super Cobra Jet engine. Because the "bottom end" of the engine would have different components than a standard Cobra Jet block, this identifier helped the assembler put correct parts in during assembly. Picture courtesy of the Mustang 428 Cobra Jet Registry.